After seeing parents fall ill from cancer or die, many farmers are switching to organics to protect themselves and their children. Some farmers transition to organic production to earn premium prices. Others switch to make their farms more sustainable. But for some farmers, transitioning to organic is a necessary way to protect their family’s health—and even save their lives. While recovering, Schmaltz read about organic farming and decided to transition because he wanted to continue farming. The next spring he started the transition, and over time his symptoms disappeared. Today, Schmaltz continues to grow certified organic wheat, beans, flax, and other specialty grains. “It’s definitely a common story for many farmers,” says Kate Mendenhall, director of the Organic Farmers Association. 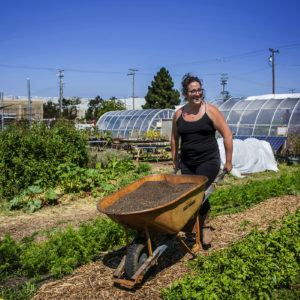 In 2017, Oregon State University and organic certifier Oregon Tilth released a report, “Breaking New Ground: Farmer Perspectives on Organic Transition,” which found 86 percent of farmers surveyed said that concern about health was one of the main motivations for transitioning. 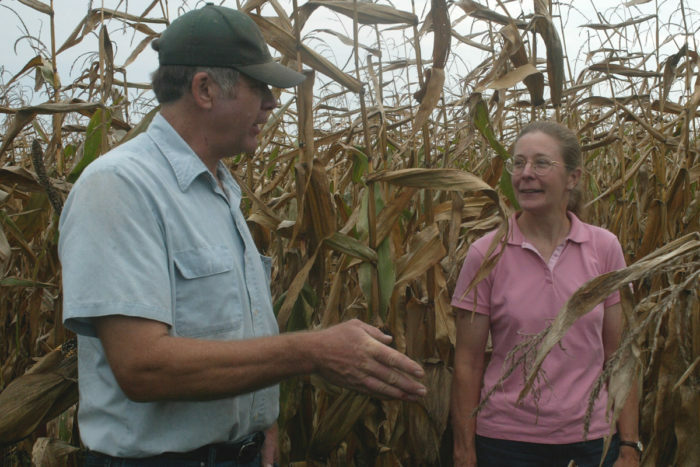 Klaas Martens (left) with Margaret Smith, professor of plant breeding at Cornell University. In 1991, the Martens decided to transition to organic because, according to Mary-Howell, they hated what pesticides “might be doing to us, our family, our land, and our environment.” The Martens have been farming organically ever since and operate Lakeview Organic Grain, which supplies organic feed, grains, and seeds. Saskatchewan farmer Gus Zelinski transitioned his farm after being hospitalized for pesticide poisoning. He inhaled the herbicide Buctril-M after it circulated into the air of his tractor cabin while he was spraying his field. “I couldn’t get my breath; I was just about choking,” Zelinski says. He was hospitalized for a week. “The doctor said I was lucky,” he says. His wife Dolores says the incident led Gus to convert the farm to organic. But other farmers in their area weren’t as fortunate as Gus. “There are a few farmers in our area who have passed on because of chemicals. But that’s not spoken about in farming communities,” she says. Dag Falck, organic program manager at Nature’s Path Foods, says he used to heard stories like this often when he did organic inspections. “There were lots of stories about older farmers getting seriously ill or prematurely dying [due to pesticide-related illnesses],” he says. In some cases, younger farmers switched to organic after their fathers experienced health problems from pesticide exposure. Tim Raile, who is transitioning his 8500-acre farm in St. Francis, Kansas, says his father had used 2,4-D and malathion. He died of chronic leukemia at age 77 when others in his family had lived longer. Raile isn’t surprised that farmers have switched to organic because of concerns with pesticides. “It’s quite common, and was a consideration for me, for sure. I’ve tried to protect myself using protective clothing, but inevitably you get sprayed and eventually it will cause problems,” he says. 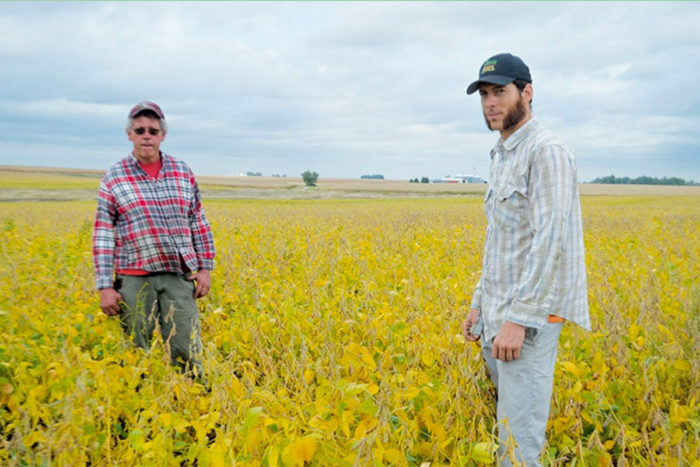 Levi Lyle is transitioning his family’s farm in Keota, Iowa to organic, and his father’s cancer was a deciding factor. “My passion for organic farming was inspired by my dad overcoming cancer,” Levi said in an interview with Iowa Farmer Today. In the early 1980s, Levi’s father Trent developed stage-4 lung cancer as well as groin cancer. Fortunately, Trent overcame his illness and still farms. Glen Kadelbach’s father wasn’t as lucky. He died of cancer in 2008, and Glen decided to transition the family’s farm in Hutchinson, Minnesota to organic shortly after his father’s death. “My dad had gotten splashed with Lasso herbicide 20 years before and he was told he would eventually get cancer. He had prostate cancer and that turned to bone cancer,” Kadelbach says. While Glen can’t be completely sure the pesticide exposure caused his father’s illness, he says it was reason enough for him to go organic. “I didn’t want my kids exposed to the chemicals,” he says. Farmers Blaine Schmaltz, Klaas Martens, and Gus Zelinski all cited herbicides as the cause of their health problems. What’s worse is that herbicide-related health problems are likely to increase for farmers and even the public, according to Charles Benbrook, visiting scholar at the Bloomberg School of Public Health, Johns Hopkins University. As resistance to glyphosate—the world’s most widely used herbicide—increases, global herbicide use is rising alongside it, Benbrook said. Encouraged by companies like Monsanto and Dow, farmers are escalating the war on weeds by using older, more toxic herbicides such as dicamba and 2,4-D to kill glyphosate-resistant weeds. Those who have made the transition to organic appear to have no regrets. “I [was] so anxious to get rid of the chemicals. I haven’t looked back,” says Raile. 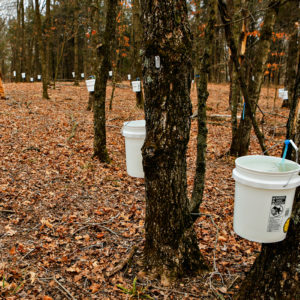 “If I can reduce herbicide use by 20 percent, then reduce another 20 percent, in a few years I hope to eliminate it all. It’s a clear path for me,” says Lyle. A version of this article originally appeared in The Organic & Non-GMO Report, and is reprinted with permission. 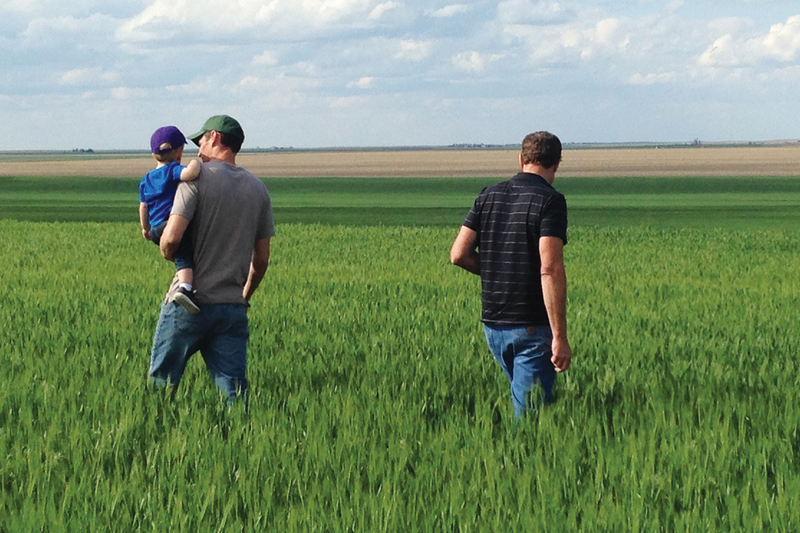 Top photo: Tim Raile (right) and his son Michael (left) holdling his own son, looking over fields they are transitioning to organic. My father had a chemical accident with dimetholate for red legged earthmite and was unable to get out of bed to milk cows for 12 months. This prompted him to start making his own worm juice and working with natural rather than using chemicals for pest control. His father died of cancer before his time as well as my mother’s father were both farmers who handled chemicals. Please do not get afraid of the Chemicals. There are some chemicals (organic / inorganic ) which are ecofriendly . We cannot live without taking help of those ecofriendly chemicals. The plants also. Ecological balance is a state found out and activated by the Nature. We cannot change it. But we can make our lives hastlefree if we abide by those easy methods of nature. But what is most surprising, some of us has found it easier / profitable to divert / change the natural methods. These wise people did not find that nature ( may be on a very very small part of the world) will get imbalanced. And the living beings will suffer as a result. It is not understandable why the scientists of that time , who were in a situation to become aware of those steps being taken by some very wise persons, say " Do not try to hit nature.It will hit back." Thanks for this critically important story about the harms of pesticide (including herbicide and fungicide) use on farmers. As a Registered Dietitian, I am at the receiving end of "feed the world" messages from agri-businesses. For example, we are told by the Produce for Better Health Foundation that all a consumer has to do is "just wash it" to rid our fruits and vegetables of pesticide residues. 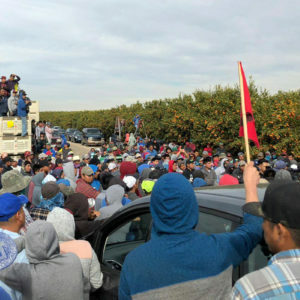 Missing is information about the harm to air and water quality, farm families, and birth defects and childhood cancers related to farmworker and rural community exposures. I am an advocate for organic food and farming systems for reasons far beyond our own personal plates. I invite readers to check out two important organizations - Beyond Pesticides, and the Pesticide Action Network of North America - to learn more about the impacts of pesticide use. Also, please tune in to Food Sleuth Radio, which helps amplify farmers' and physicians' voices about the full impacts of pesticide use. Is terrible story indeed! I think there is a need of strengthening campaign against these killers (promoters of conventional agriculture) while they always go forward to make super profit by destroying others. Instead, agro-ecology should be adopted as alternative for sustainable agriculture. I am glad to hear farmers speaking out about the dangers of pesticides. We consumers need to listen to those who know and want to spare themselves and their families. Some people don't know that pesticides do not come off by simply washing your fruits and vegetables under the faucet. They are resistant to water, so farmers don't need to respray them every time it rains. Kangen water devices are a healthy and eco-friendly solution to having healthy water and also produce a special strong alkaline water that is able to dissolve the pesticides. This water can emulsify them, so I soak my produce, even organic produce, in this water before cooking or eating the produce raw. You would be shocked to see the water change colors, although soaking the same produce in tap water would not show anything coming off. I have heard from farmers that even organic produce has certain pesticides sprayed on it, although they are less harmful than the conventional pesticides. I truly hope that someday (sooner rather than later) more people realize that it's a bad idea to grow food with poisons, but the big chemical companies have a powerful marketing machine and a lot of influence. Glen Kadelbach's father's cancer was definitely caused by pesticide/ herbicide / insecticide which were used in the farms , the produces of which were consumed by the citizens of the area. Not that since pesticide / herbicide has been stopped, so there will no more illness. The poisonous chemicals will show their effect for a long period. During that the produces should not be consumed by any human being/ animal / birds. The incident was of 1993. None have warned you to stop using poisonous chemicals on farms. It is astonishing. Anyway , better late than never, there is no requirement of using poisonous chemicals on farms. There are other easy ways which are cheap also. In this way we can get rid of illness permanently. Only Organic ! GMO Foods change our DNA. This is why people our becoming violent.